Generating shipping labels in WooCommerce can be quite difficult. FS Connect gives you three options to do it quickly: create shipping label manually one by one, do it in bulk or even entirely automatically. In this article, I’ll show you how to configure it in all three ways. Usually to create and get a shipping label, you have to do it manually in the carriers’ systems. It takes a lot of time, money, and causes mistakes. It could be also really demotivating, especially for personal store owner. To solve this issue, we launched FS Connect – an online service added to our popular Flexible Shipping plugin. It has a free plan that lets you create 50 shipping labels per month. 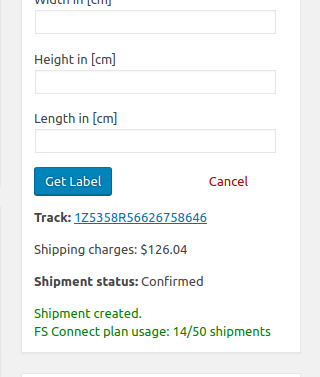 To generate shipping labels in WooCommerce fast you have to configure Connect service and carriers’ integration. Wondering how to do it? See our guide series linked in the box below. OK, let’s go through three ways of generating shipping labels in WooCommerce. How to generate shipping labels in WooCommerce manually? It’s the slowest option but still can save you a lot of time. Go to WooCommerce → Orders and choose the order you want to ship. On the right side (as in the screenshot below) you’ll see a box with the package settings from the carrier you enabled. If you configured your shipping method, many fields should be dynamically filled, f.e. weight and package dimensions will be entered based on your products information. All you have to do is complete all fields (if needed), check if everything is correct, and create shipping label by clicking on Create button. Shipment status will be changed from New to Confirmed. You’ll get tracking number in your carriers’ system, information about shipping charges, and the information about plan usage. Click Get Label to download shipping label. If you exceed the FS Connect plan, you’ll get the warning information. Click the link to upgrade your plan. Check our docs on how to do it. How to generate shipping labels in WooCommerce in a bulk? Of course, you don’t have to generate shipping labels one by one. All you have to do is check if all fields are filled correctly as in the previous method. Then, go to WooCommerce → Orders, choose orders you want to ship and select the bulk option you are interested in. You can send shipments and get labels all in one click. How to generate shipping labels in WooCommerce automatically? Finally something REALLY fast – complete shipping automation. Time is money, right? We know that online stores’ managers love automation. In FS Connect you can set it up with only two clicks. You can do it while configuring shipping method. 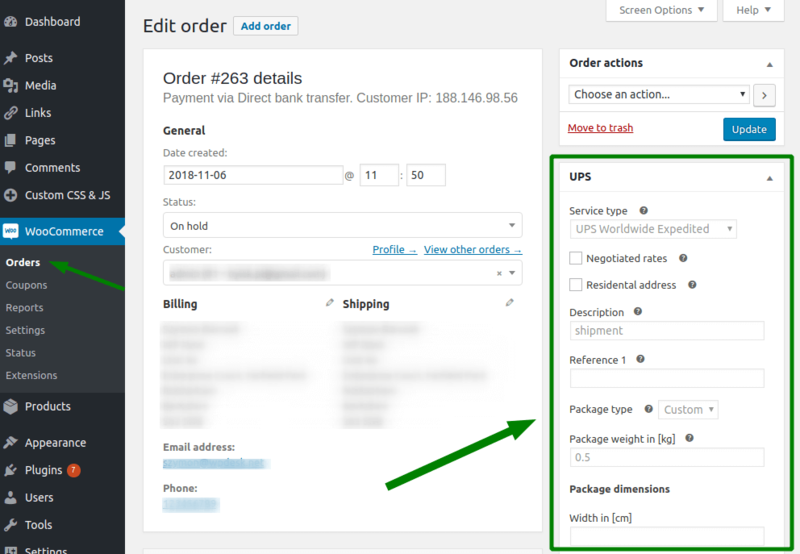 Just select Automatically in the Create shipments option. 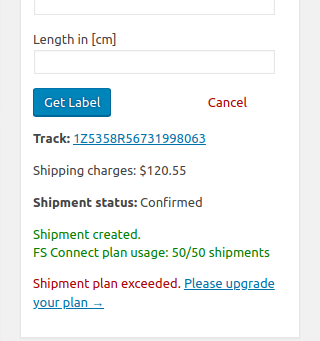 Now all you have to do is choose on which Order status FS Connect should create a shipment. And that’s all! If everything is configured well, shipments should be automatically created based on your data. As you can see speeding the shipment or even making it completely automate can be really simple. All you have to do is get FS Connect, enjoy shipment automation and save time. Home › How to automate WooCommerce shipping label generation?